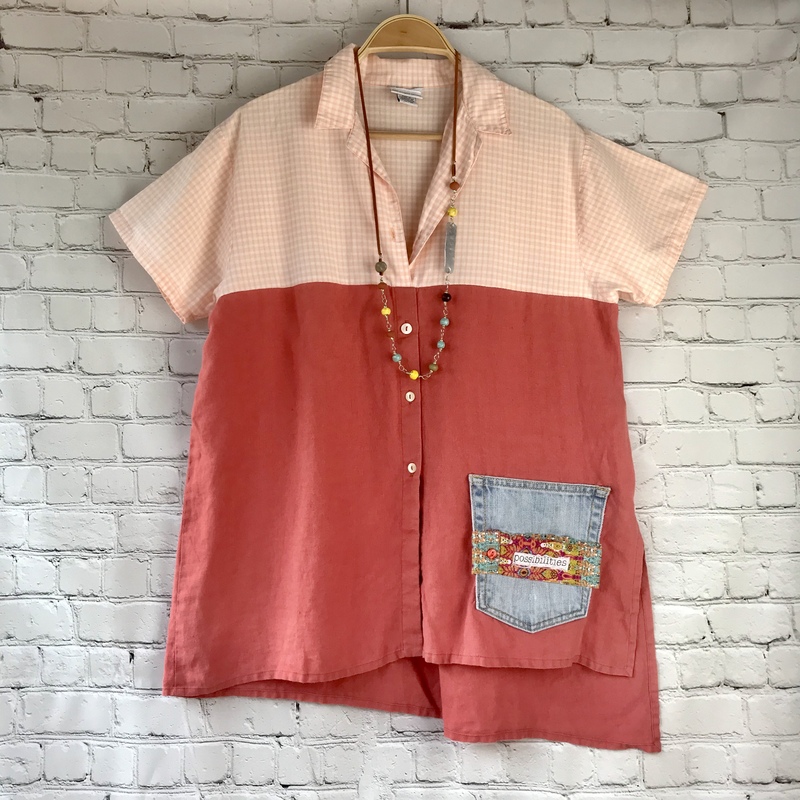 Garment Code S 15 – 2nd Story Goods Upcycled! Playful pairing of crisp check pattern with a terra cotta cotton. The denim pocket overlaid with a floral pattern and our very own “possibilities” tag makes this top stand out in the crowd .